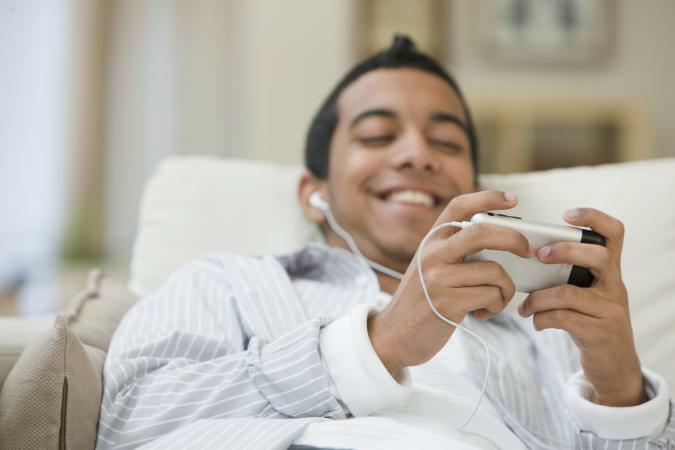 Video games are often derided as a pastime for young teenage males. If you're not a regular "gamer," you might be surprised to find out just how many people from all different demographic groups play games regularly, leading to a billion dollar industry in the U.S. and internationally. According to game designer Jane McGonigal, author of Reality is Broken, more than half a billion people play computer and video games for at least an hour each day. About 183 million of those gamers live in the U.S. alone. 63% of households in the U.S. have at least one person who regularly plays video games (defined as playing 3 or more hours per week) and 65% of households have at least one type of game playing device with 48% owning a console specifically for gaming. Gaming is not just an activity exclusively for young boys. The average age of a gamer is 35 and the gender split is 59% male and 41% female. The average age of a female gamer is 44. 26% are 50 or older. The ESA's report also presents a picture of a group that is more socially engaged than the stereotype of gamers playing alone. 54% of gamers play with others and 51% of dedicated gamers play some type of multi-player mode at least once a week. 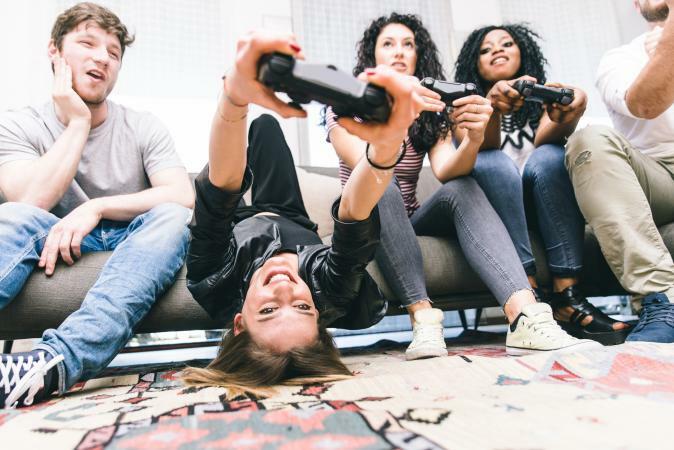 Among the gamers surveyed, 53% said that the activity of gaming helped them to connect more with friends and 42% said the same for family. Video game sales brought in $23.5 billion dollars in sales in 2015. In comparison, box office revenue for the same year was $11 billion in the United States. The NPD Group is a market research company focused on retail and consumer trends. Annually, it queries 12 million consumers for their extensive industry reporting. The NPD's statistics from 2016 show that $30.4 billion was made by the video game industry, an increase over the 2015 sales figures. According to an NPD "snapshot" report from 2014, "core gamers" who play at least 5 hours per week on a core device (i.e., console, PC or Mac) numbered 53.4 million people. Within this group, the average number of hours played per week was 22.1. Everyone has different reason for playing video games. The most common one is simply that video games are fun. As technology gets better and the graphics improve with each new console, this reason is likely to remain at the forefront. The huge availability of devices you can play on today has also no doubt increased the game-playing market as you no longer need to purchase a special console or handheld device to play. The Rise of eSports and "Let's Play"
Another reason for the rise in popularity of games is the increased visibility of eSports and "Let's Play" videos online. Professional eSports globally has increased from revenue of $194 million in 2014 to $463 million in 2016, according to gaming blog BigFishGames. With a viewership in 2016 of about 292 million, more and more people who may not have considered playing games are now watching eSports and trying games out for themselves. The growth of "Let's Play" videos on YouTube and services like Twitch have also bolstered the visibility of games to a new audience. In fact Business Insider looked at the top twenty YouTube channels based on number of subscribers in 2014 and found that 11 were Let's Play channels. A national survey of K-8 teachers found that using video games as part of their class instructional materials led to improved fundamental learning and motivation skills. Moreover, 74% of the teachers surveyed now use digital games as a regular part of their student instruction. 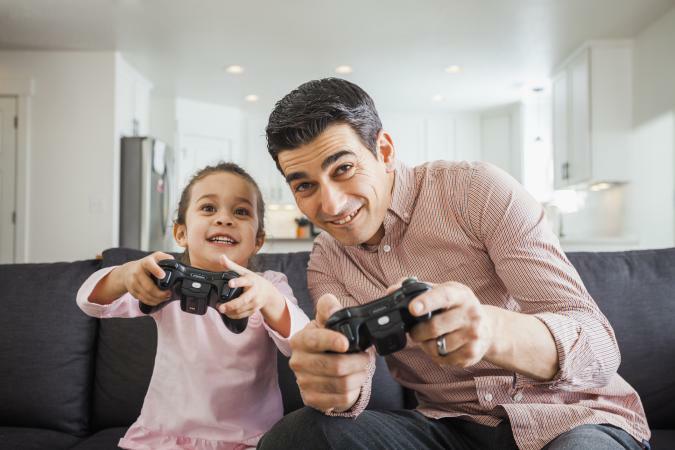 Likewise, the ESA's annual report shows that 68% of parents view video game play by their children as a positive and 62% engage in video game play with their children on a weekly basis. Video games can also provide benefits for health education, such as with Re-Mission. The purpose of this game was to teach children with cancer how to follow a treatment protocol and a review of players found a noticeable difference in health-related behavior compliance compared to children who did not play the game. Games can also improve cognitive functioning and problem solving abilities. A study by researchers from Yale University found that children who played a brain training game for a regular amount of time weekly for four months had higher math and reading scores than students in the control group. This positive benefit isn't limited just to children. Researchers working with Alzheimer's patients found that playing a similar type of brain game a few times a week for one month improved multi-tasking ability and short-term memory. Another study of seniors ages 60 to 77 who played World of Warcraft, the popular online multi-player game, showed increased ability to focus and cognitive function. Video games can play a role in improving the emotional health of people suffering from depression and anxiety. The ESA reports that a research study looked at people who played video games casually and who also suffered from depression. There was a decrease in feelings of depression and its associated symptoms of 57% in the study group. Several studies have also found that the positive emotional experience that playing a game generates on a day-to-day basis can improve one's ability to develop social relationships and support coping mechanisms for dealing with negative experiences. Gaming's outlook for the future is positive, with upgraded high resolution consoles by Sony and Microsoft as well as additions of new advances into virtual reality. Nintendo's Switch device hit markets in 2017, selling 1.5 million units in launch week alone. Video games are expected to increase their market share through 2020 at a higher rate than other forms of entertainment too. Everyone is or will be a gamer.